Nouvelle Vague, meaning “new wave” in English and “bossa nova” in Portuguese, neatly captures the concept behind this innovative group, known for reimagining classic new wave singles with a Brazilian pop flavour. Global pop phenomenon Nouvelle Vague are the brainchild of French producers Olivier Libaux and Marc Collin. These two visionary artists recruited a cast of French and Brazilian vocalists unfamiliar with the original versions of songs such as New Order’s ‘Blue Monday’, Joy Division’s ‘Love Will Tear Us Apart’ and XTC’s ‘Making Plans for Nigel’ to ensure that their renditions had a unique identity, recording inspired covers that entranced listeners with lush arrangements and tender vocal performances. Releasing their debut in 2004, the group were soon touring internationally, playing alongside singers Camille and Mélanie Pai to fans in locales as far-flung as Shanghai, New York, Los Angeles, and Rio de Janeiro. The years that followed saw the release of four more studio albums and extensive global tours, forever imprinting Nouvelle Vague on the cultural consciousness. 2019 sees the groups 15th anniversary, which is to be celebrated with a two-part release of rarities and unreleased recordings and a retrospective documentary directed by Marc Collin himself. 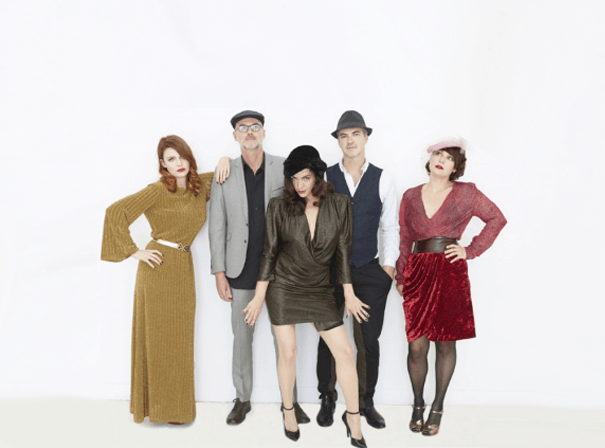 Nouvelle Vague are also embarking on an international “unplugged” tour, in keeping with the show’s original 2004 incarnation: described as “out of this world” by reviewers, their latest live production finds the band returning to their roots. An acoustic guitar, a few keyboards, a touch of ambience, and two singers (Mélanie Pain, Elodie Frégé, or Phoebe Killdeer), interpreting the band’s iconic songs for an enchanted audience.